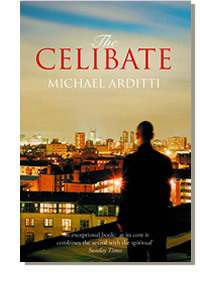 The Celibate is the story of a young, unnamed ordinand with his mind full of God and his heart closed to love. After a nervous collapse while serving at the altar, his college principal sends him on a placement to London where he enters an unfamiliar world of outcasts, down-and-outs, rent boys, religious fundamentalists and people with AIDS. In increasing despair, he embarks on a journey through the world of Jack the Ripper, the devastation of the Great Plague and the mysteries of his own family. As the past and present come full-circle, he finally understands the true meaning of Passion.